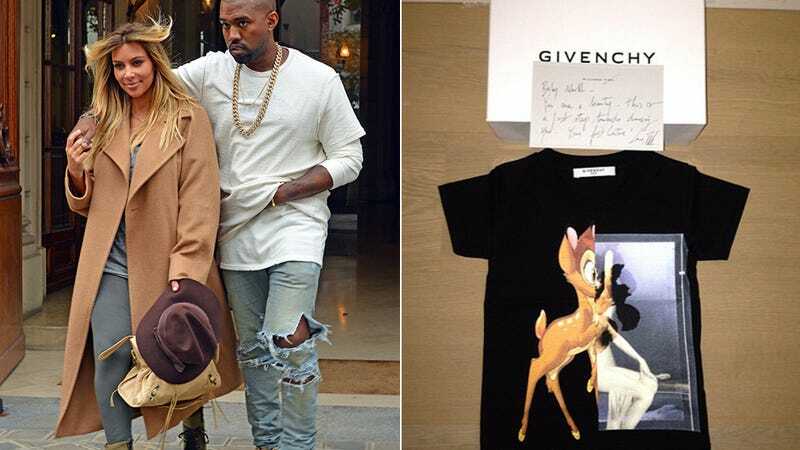 Kim Kardashian and Kanye West have been enjoying Paris Fashion Week, and also accumulating a bunch of stuff to declare at customs. Instead of frankincense and myrrh, fancy-pants designers are offering tiny luxury outfits to the infant deity known as Baby Nori, and Kim's been posting the presents on Instagram. 1 "what's that jacket, Margiela?" Approximate value: More than your weekly paycheck?